According to a press release issued yesterday, online securities and futures brokerage firm TradeStation plans to enter the ever evolving cryptocurrency market in 2019. The company stated that it had not worked out the final details of its new product offering – that will not be released until later this year. 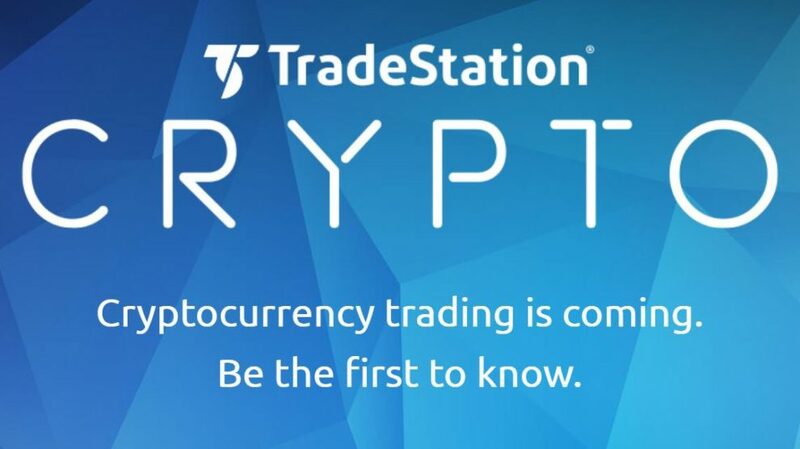 TradeStation intends to leverage its existing expertise in providing a securities and futures trading brokerage to resolve what it says are key concerns and certain weaknesses in the existing cryptocurrency ecosystem. On this basis, it intends to target cryptocurrency traders and investors with an improved upon product offering. The company claim that it was one of the first online brokers to add support for real-time market data pertaining to Bitcoin indices sourced by Cboe Global Markets and CME Group. Some time later, it added support for market data and order execution when CME and Cboe Futures launched their Bitcoin futures contracts. TradeStation was also an early mover in providing clients with real time market data via its trading analysis platform. It provided such data in respect of four leading cryptocurrencies – namely Bitcoin, Ethereum, Litecoin and Bitcoin Cash. The newly formed subsidiary has been named TradeStation Crypto and it will be the official sponsor of The North American Bitcoin Conference which takes place at the James L. Knight Center in Miami, Florida and commences tomorrow. This lack of liquidity is a prime reason why institutional investors are increasingly accessing over the counter (OTC) trading desks to trade crypto. Circle enjoyed significant success with its Circle Trade OTC trading option in 2018 – accounting for a trade volume of $24 billion. Coinbase followed suit in November and yesterday, Bittrex joined them by launching their own OTC trading desk. In the event that institutional investors wish to carry out exchange based trading, they need to open up multiple exchange accounts in an effort to ensure there is sufficient liquidity available to effect their trades. This adds considerably to the overall costs of the activity and the time input required. It is this aspect that TradeStation wish to exploit. It’s intention is to partner with exchanges so as deeper liquidity pools may be formed such that they aren’t disjointed. TradeStation are owned by Tokyo based Monex Group. In January 2018, it set up a cryptocurrency lab with the objective of providing access to cryptocurrencies. Monex acquired Japanese cryptocurrency exchange, Coincheck, in April 2018 following a spectacular exchange hack a few months earlier when the exchange had $530 million worth of digital currency stolen.